In 1876, Alexander Graham Bell spoke into a working model of his telephone invention over a distance of five miles (8km); using improvised wire strung up along telegraph lines and ran along fences to demonstrate the utility of his creation. A young Alexander G. Bell and his telephone. When Bell offered to sell his patent to Western Union, the dominant telegraph and telecommunications operator in North America, for $100,000 dollars, Western Union called the telephone “a toy,” citing that it wasn’t very effective over long distance. Secretly, Western Union believed their purchase of patents by Elisha Gray would secure their stranglehold over any development of the phone that might affect their business, which was doing incredibly well since the president of the company had realized their main profit sectors were tucked away in short messages, like stock trades. Less than ten years later, Alexander Bell’s own American Telephone and Telegraph Company would own Western Union, after committing to suing for patent infringement and winning the case, where Western Union agreed to pull out of the telephone market. Bell toiled away on his design to create a way to communicate vocally over distance for years. His interest in speech was stirred as a kid when he saw an automaton in a museum that could “speak” if its bellows and throat were manipulated in the right way. His interest would eventually lead him to work with the deaf and mute, helping them learn to communicate with the world. As a teacher and inventor, he was a humanitarian. He viewed his inventions as a way to help people and families. Even in his death viewed himself as a “Teacher of the Deaf.” That powerful drive to help people, combined with his creative endeavors kept his mind ticking and his eyes on the horizon – he was driven by that entrepreneurial spirit that is embodied in the American history; the one that says you can do it. His first insight was while he experimented with a phonautograph, which was a device that could draw shapes of sounds onto glass through the vibrations the sounds created. He considered that metal reeds might be able to transmit the vibration of a voice, but wasn’t sure how he could really bring that idea to a resolution. 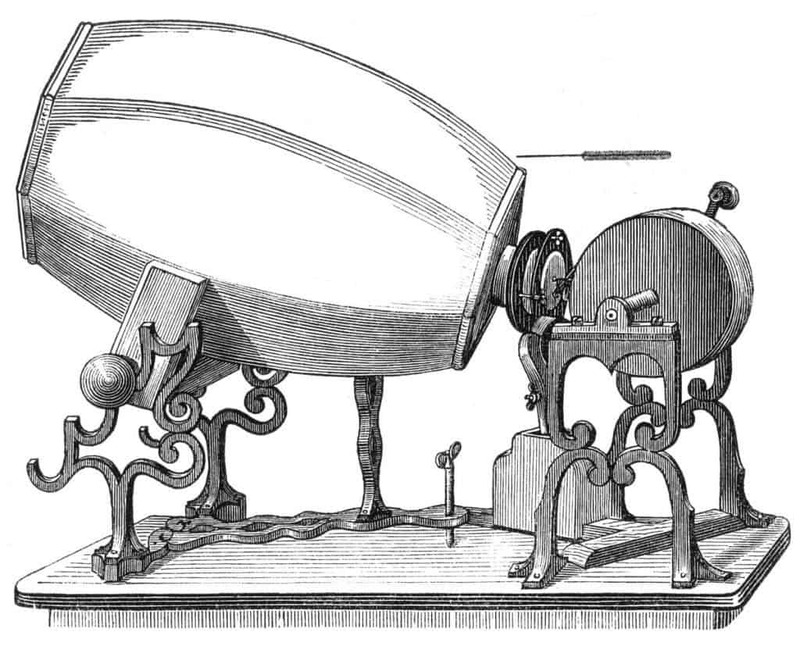 The phonautograph is the earliest known device for recording sound. Illustration: Wikipedia. Bell lacked the critical foundation to really make his idea work though. His early concepts ranged from using multiple reeds that would vibrate, to a single reed that could carry the signal necessary to convert back to audio. In the late 1870s, he’d almost given up entirely. The narrative for most inventions goes something like this, and it always sounds really good, too. An inventor has a creative spark of an idea, and just when things aren’t quite looking their brightest, a close friend, mentor, or family member reaches out to them and gives them the jolt they need to stay the course. It was enough to keep Bell going until he chanced into meeting an electrical engineer named Thomas Watson in 1874, and they started working on his reed idea. On June 2, 1875, Bell and Watson were experimenting with receiver reeds and transmitting electricity with a battery. On one end of the line, the reed hasn’t responded to the electrical impulse, so Bell asked Watson, who was on the other end, to pluck the reed and free it from sticking to a magnet. When Watson plucked the reed, Bell heard the same tone play through his reed. The magnetic field the battery was supplying was enough to act as a medium to transfer the motion across the wire to the reeds, and because the current was constant, Bell believed the reed could reproduce the same frequency of speech, including the timbre and amplitude. They then designed a membrane with an iron armature seated in the center that could pick up the vibrations of a voice and then transmit across the line to a duplicate membrane, where the iron armature would vibrate in the same frequency as the original, reproducing the speech. Bell applied for a patent in 1876. With some refinements to the telephone’s transmission apparatus, Bell would speak into his telephone over that distance of five miles with wire strung up alongside telegraph line later that year. With his father-in-law’s investments and financial advice, Alexander Bell established the Bell Telephone Company which would hold the patent and vested interests in the (growing) National Bell Telephone Company that would eventually transform into the world’s largest telephone company: American Telephone & Telegraph Company (AT&T). A little more than 100 years later, the company he founded in 1880, was dismantled by an agreement with the U.S. Department of Justice in 1982, paring down the empire that “had given mankind the means for direct communication at a distance.” The Bell System divested all its local exchange services and allowed them to be separated from their international, business, and long distance services to allow competition to actually compete. AT&T went from a small, unprofitable business to an enormous empire in less than 50 years, planting phones in the homes of nearly every person in America and abroad, cementing the cultural significance of the telephone, and carving the path that would lead to instant global communication. 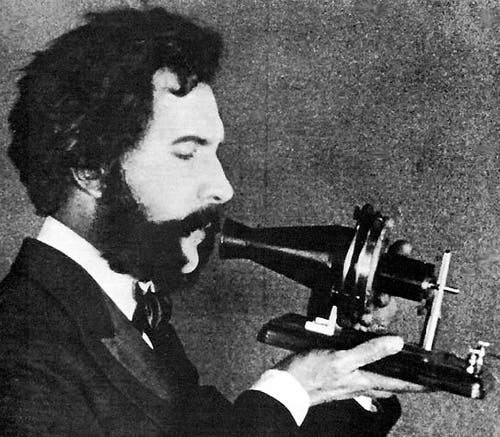 Alexander Bell would create an invention he called the photophone in 1880, which performed well enough that he considered it his ‘greatest achievement’ of his life. It allowed for wireless communication over a distance, nine years before the first radio transmissions were produced. The master patent for the technology would eventually be evolved to AT&T’s very own fiber optic cable design, which was critical for ensuring reliability and bandwidth capabilities needed for modern day communication between the continents. AT&T not only would pioneer the same technology that connects six continents on the planet to each other through physical lines, but would be the driving force behind the launch of Telstar 1, the first commercial satellite in the 1960s. Innovation is hard, and doesn’t come easy to even seasoned companies. A study published in the Journal of Technology Management & Innovation discusses that an average firm fails to capitalize on their position to launch new products or technologies that can secure a future for them. Clearly, some of the most ground breaking companies in the last century included ones that took substantial risks. AT&T being a key player between the end of the 19th and the beginning of the 21st century. Those risks would eventually lead to the collapse and destruction of AT&T as it was prior to 1982 into the smattering of wireless communications companies that exist now. In 1984, as per the settled antitrust lawsuit between AT&T and the United States, AT&T to dissolve its national interests into seven companies, called “Baby Bells”, which exist today as AT&T, Verizon Wireless and CenturyLink. Verizon originated from the Bell Atlantic division, AT&T came from the Southwestern Bell Corporation (that changed its name to SBC Communications in 1995), and CenturyLink is the most fragmented, their company owning several different companies that once may have been a part of a AT&T Bell from the fragmentation.